For an efficient, agile and aligned GRC capability, we utilize below and more services to analyze the transformation needs of your organization and processes from workflow, data, resources, integration and other perspectives. We develop an agile implementation roadmap and project to built a GRC capability covering technology, financial, communication and training needs. We scope processes from your value protection domains such as Risk and Audit Management, then apply principles of process maturity such as automation, simplification or unification structurally to build a GRC capability. 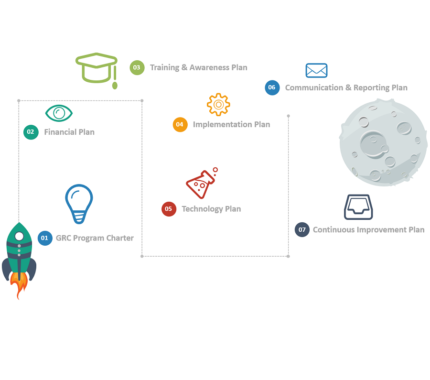 The objectives of GRC implementations such as increased visibility and accountability are ensured and we enable to measure outcomes to by building continuous improvement cycle with performance indicators.